In a world filled with people seeking daily Instagram and Snapchat likes and shares--and hoping to grow those Facebook and Twitter friends and followers--it's not always easy to navigate virtual friendships without losing sight of what a real friend actually is and means! Sometimes, as a woman and mother, it's especially easy to feel left behind and left feeling inadequate by the sea of perfect Pinterest posts and all of the happy and smiling people sharing so many perfect moments! 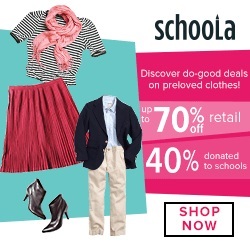 (Especially if you are glancing around your real world and seeing mountains of laundry and another pizza for dinner!) Not to mention that horrible feeling when one of those virtual friends clicks the dreaded "unfriend" or "unfollow" button and "dumps us"! 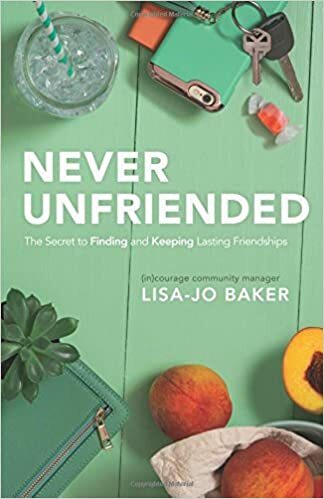 I was excited to read and review the latest book from Lisa-Jo Baker, Never Unfriended, as she takes a look at finding and keeping real, lasting relationships from a "real-world"--and a Christian--perspective! What did I think of Never Unfriended by Lisa-Jo Baker? I received a complimentary copy of this book from the author or publisher. All opinions are my own and I was not compensated for my review. In a world where women can unfriend each other with the swipe of a finger, how do we find friendships that we can trust to last? As the community manager at the website incourage.me since 2010, Lisa-Jo Baker has had the chance to engage hundreds of conversations with women about friendship. She’s learned that no one can make us quite as unsure about ourselves as another woman. And nothing can wound as deeply as unkind words from a friend. While we are all hungry for friendship, it’s the fear of feeling awkward and being rejected, left out, or hurt (again) that often keep us from connecting. But what if we knew we could never be unfriended? Would we risk friendship then? Never Unfriended hit home for me. I am not an overly social person. You will not find me at a party or event with a ton of girlfriends every weekend. You usually won't find me out on a girl's night out. I tend to spend my days, nights, weekends, etc. with my husband and my family either as an entire unit--or with 1 or more of them! Over the years, I simply found that my morals, values and motivations--and my meaning of friendship--didn't mesh with most of the women that I met. While I love my family dearly--I still feel that pull toward finding those friends who understand me and support me--and need me too. 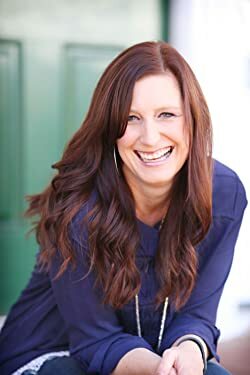 As Lisa-Jo Baker opened up her own "issues" and the real-world reality that most women face in finding that female, friendship-based, support system--it was eye-opening and refreshing! I am not alone in my feelings--and I am not alone in the struggle to find those meaningful friendships with other women. The author has the perfect writing style for this book. Reading Lisa-Jo Baker's words are like being welcomed into a friend's personal journal. She writes openly, honestly--and in a very conversational & inclusive manner. She bares her feelings, her personal stories, her fears and--her realizations--to help other women seek (and be) real-world, meaningful friends. Never Unfriended asks and answers a lot of questions for women. Why do we doubt ourselves so much? Why do we leave each other behind? Why are we so exclusive instead of inclusive? Why aren't we more supportive of one another? How do we re-think our friendships and re-focus our energies into becoming better friends ourselves? Lisa-Jo discusses the fears and control issues so present for so many women as they move through various life events and stages. Then, she puts those fears and worries into a Christian perspective as she begins to offers wonderful tips, reminders, and reassurances for women seeking something more--and trying to be something more to others. The author and I are not as different as I thought. When I began reading this book--I didn't immediately connect with Lisa-Jo's words. My first impression was that she was too dependent on that need for friends. Hmm. But, I kept reading. I began to hear more and more of my thoughts and feelings in Lisa-Jo's words as I read on. We have many of the same insecurities--in spite of our abilities. We have many of the same internal battles with ourselves where girlfriends and life are concerned. I am not typically a person who asks for help (though I may benefit from help at times!) --and I am not sure that I want to have that large support network in the same way that the author does. However; realistically, I would like a smaller support network of like-minded friends--in the real world. While the author is more willing to seek and receive help and support than I am, I think this book helped me to see that we aren't that different from one another...we are just in different places and "realization points" in our lives. Christian readers will gain more insights and peace from this book. While you could certainly read Lisa-Jo's words of wisdom and insights and gloss over the Biblical quotes; you will gain more insights and a bit of peace from her thoughts on her selected Bible passages as well. Sometimes, we all get so caught up in the busy and day-to-day--that we need some reminders of the basics and of our Faith. 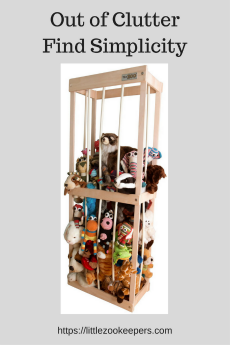 Would I recommend Never Unfriended by Lisa-Jo Baker? I picked up this book, read 10 or so pages--and set it aside. I didn't have the same "need" for the level of friendship as the author. We didn't live the same lifestyle. Then. I gave it a couple of days--and had one of my "long-time" friends "unfriend" me on social media--and I picked up the book again. After a couple of chapters, Lisa-Jo Baker's words connected to the path I have actually been on for years. I found myself nodding, smiling--and relating to her stories, fears, realizations and words of advice. I found myself reading her Christian thoughts and quotes--and finding a little hope and resolution in them. I found myself feeling that I was, maybe, really, OKAY. Maybe even normal with my worries and misadventures in friendships! I found some very useful thoughts, advice--and ideas for not only seeking that friendship connection that we all desire so much--but, tips for becoming a better friend option for those seeking friendship! Never Unfriended is an excellent book for Christian women of really any age, but--I think especially for mothers (stay at home especially!) and 30-40 somethings trying to regain a little friendship perspective in our current "virtual" world. Readers from a variety of walks of life will relate to the author's stories and thoughts--and gain something from reading this book. Lisa-Jo Baker has been the community manager for www.incourage.me, an online home for women all over the world, for nearly a decade. 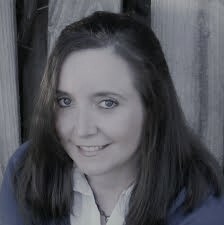 She is also the author of Surprised by Motherhood, and her writings have been syndicated from New Zealand to New York. She lives just outside Washington, DC, with her husband and their three very loud kids, where she connects, encourages and champions women in person and through her popular blog, lisajobaker.com.